It seem like it was just a few days ago when we celebrated Oakville Children’s Festival 2016, and now, it is just a few more days and we’ll be having this year’s festival! Mark your calendars for the full day of July 9, 2017 from 10 in the morning until 4 in the afternoon for an entire day of outstanding performances from singer Mike Ford, Toopy and Binoo: Fun and Games, juggler and comedian Bob Cates, Oakville Public Library Storytimes, ROCKgarden Party, First Nations Storyteller Cheri Maracle, The Compound Urban Dance, and more. The festival venue will be at the Queen Elizabeth Park Community and Cultural Centre. 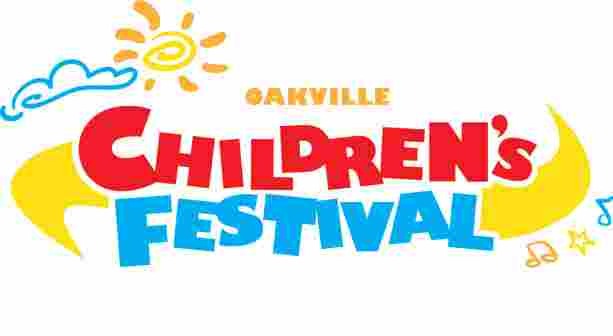 You may download the full list of performances for the Oakville Children’s Festival 2017 here. The change of venue is to ensure that the OCF 2017 event will go as planned and avoid (possible) complications brought upon by the ongoing flood and rising lake levels at Coronation Park. This way, the festival will remain free for everyone and will push through no matter what’s the weather on the 9th. Out-of-town guests and Oakville residents are encouraged to use the free Oakville Transit shuttle service that will take people from the Bronte GO Station to the festival venue. This service begins at 9:30 a.m. and is until 5:30 p.m. for those who will be leaving the festival going back to the station. New buses will be available for festival goers at 7 minutes interval. Please note that there is no parking on the site and that the entire area will have on-street parking restrictions for emergency vehicles to have access if needed. Note that wristbands are required and that recreational swim admissions plus capacity restrictions apply. Availability of wristbands is at a first-come, first-served basis on the 9th. Want to ride a bike? Go ahead. There will be free bike parking corral on site. A refillable water bottle is a must to use the free water stations. Come prepared with a blanket and sunscreen. Although food will be available on the site via food trucks, bringing a packed lunch and snack is encouraged more so for those with dietary restrictions. Event organisers are committed in making sure that they provide a smoke-free area where kids can play. Pets are not to be brought to the festival venue to ensure everyone’s comfort, including your pets’. Don’t forget to take lots of photos and enjoy! Use the OCF 2017 App! Surprise, surprise! OCF 2017 has an app for both mobile Android users and iPhone users. More information are available at the OCF 2017 page. Love how vibrant of a town Oakville is for kids? It’s amazing for all ages! Check out the various Oakville neighbourhoods to see which appeals to you the most and have us help you find an Oakville home there. Contact us for details!